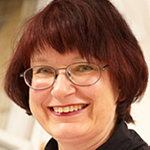 Associate Professor Stella Clark has unique expertise and genuine interest in facilitating scientific endeavours across organisations both public and private. She has worked at senior and executive levels and enjoys enabling cooperative, beneficial, innovative ventures. Associate Professor Clark’s business acumen comes from running a small not-for-profit public company. She is deeply committed to health and biosciences and is keen to promote the development of young scientists and future leaders of science. She excels at fostering connections between senior people and in assisting the development of meaningful relationships. Her areas of interest cover policy and program development as well as tackling communication and gender challenges. Associate Professor Clark is a graduate of the Australian Institute of Company Directors.